This wrecking ball game is so much fun. It allows 4 player to compete at the same time. 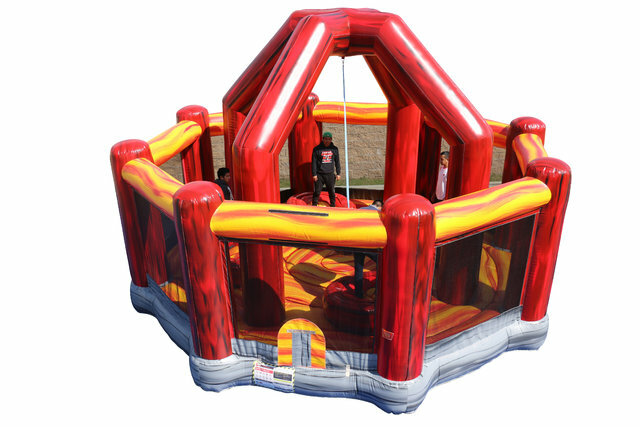 Each player stands on a inflatable pedestal, they then swing the wrecking ball in the center at each other. The last person standing, wins the round.